The next iPhone, which has unofficially been dubbed the "iPhone 5," is expected to arrive some time later on this year. From reports, rumors and leaks gathered hitherto, it will remain the same width and of a similar depth to the current iPhone 4S, but the screen – and subsequently the device itself – will become longer, adding more pixels while keeping the same pixel density of the Retina display seen in Apple’s flagship device of today. 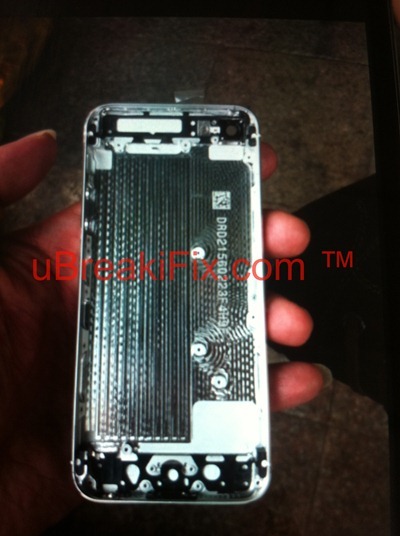 More leaks have emerged courtesy of uBreakiFix.com which appear to corroborate the previous reports of a longer iPhone device. The form factor in general remains largely similar to the iPhone 4S, although the speaker and microphone mesh appears to have been replaced with a shower head-like dotted composition, which in my opinion, doesn’t seem like progression from the current arrangement. 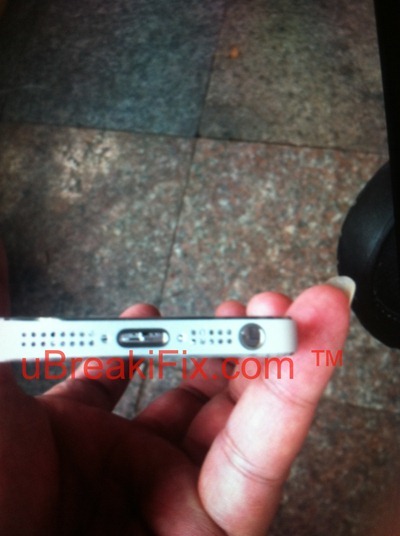 As will be the case with the next iPhone and subsequent iDevices, there appears to be micro USB connection port which will replace the current larger 30-pin socket, in keeping with Apple’s long-standing thinner and lighter ethos. The Cupertino company has stood defiantly behind its 3.5-inch display from day one up until the present, but that looks set to change with the next-gen device. Although Apple has been critical of rivaling vendors for copying traits of its prized gadget, the shoe looks to be on the other foot on this occasion as Tim Cook’s company follows the precedent set by Android that bigger is indeed better. Although we suspect 4G LTE to be a feature of the next iPhone along with iOS 6, precious little else has been revealed. 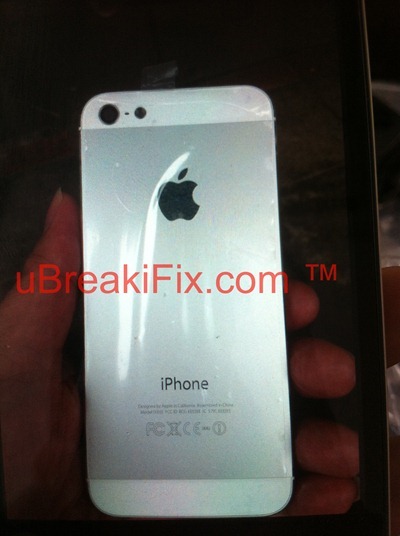 These latest leaks are somewhat blurry, which is always suspect, and moreover, I would have thought a site specializing in iDevice repairs would have a decent snapper to hand before leaking world exclusives. Still, the consensus firmly seems to be that the next iPhone – whatever it shall be called – will not be dwarfed by other flagship devices from the likes of Samsung and HTC, and will pack a display in the region of 4 inches – quite a significant leap in terms of smartphone screen real-estate. If the images are legitimate, I sincerely hope we’ll be seeing some close-ups and detailed overviews in the coming days, since I – like, I presume, many of you – cannot wait to see concrete details of what Jony Ive and the gang have been cooking up within their secret lair.